Over the weekend, activists targeted Debbie Wasserman Schultz over her medical marijuana stance. Democratic National Committee Chair Debbie Wasserman Schultz wants to move over to the US Senate, but she won't be getting any help from medical marijuana supporters. She opposed last year's medical marijuana initiative, and that has angered advocates. "She's voted repeatedly to send terminally ill patients to prison. And we're certainly going to make sure Floridians know that -- not to mince words," said Bill Piper, national affairs director with the Washington-based Drug Policy Alliance (DPA). DPA has been joined by People United for Medical Marijuana in Florida, the Marijuana Policy Project, and Americans for Safe Access in coming out against Wasserman Schultz. She opposed last year's medical marijuana initiative. Last Friday, Butte County hired six code enforcement officers to begin enforcement of Measure A, the voter-approved measure that restricts medical marijuana grows in the county. Code enforcement officers and deputies will go door-to-door in selected rural areas of the county to inform residents about the new restrictions. Last Wednesday, a bill to regulate medical marijuana got stripped down. Senate Bill 115, which seeks to make the state's medical marijuana system more like its recreational system, won preliminary approval in the Senate, but only after some of its more controversial proposals were stripped out. Now absent from the bill are a move to crack down on medical caregiver growers and rules requiring marijuana edibles to be refrigerated. The measure now renews the medical marijuana regulations that were passed in 2010. On Monday, a CBD cannabis oil bill won a committee vote. The House Judiciary Non-Civil Committee unanimously approved House Bill 1, sponsored by Rep. Allen Peake (R-Macon). The bill was amended to restore a maximum 5% THC level (up from 3%) and to limit the personal information police can access when verifying a medical marijuana authorization, but an amendment that would have reinstated illnesses removed at the request of law enforcement failed. On Wednesday, the House passed the CBD cannabis oil bill. The House approved House Bill 1, which allows for the use of low-THC, high-CBD cannabis oil to treat seizures and other major health conditions. The measure now goes to the Senate. On Monday, a CBD cannabis oil bill won a House committee vote. For the first time, a measure allowing some form of medical marijuana has won a vote in the state legislature. The House Health and Human Services Committee Monday approved House Bill 2282, which would allow for the use of low-THC, high-CBD cannabis oil for seizure disorders. On Monday, medical marijuana workers unionized. Workers at Minnesota Medical Solutions, which will operate four medical marijuana dispensaries, have signed a labor agreement with the company under the auspices of the United Food and Commercial Workers (UCFW), Local 1189. The union is also in discussions about representing workers at the other four planned dispensaries in the state, which will be operated by LeafLine Labs. The UFCW has also organized marijuana workers in California, Colorado, and Washington. On Monday, a medical marijuana bill was set for a hearing. Rep. Dave Hinson's (R-St. Clair) House Bill 800 would allow for medical marijuana for eligible patients. On Monday, there was talk of kosher medical marijuana coming to the state. Orthodox Jews in New York may soon be able to get kosher medical marijuana. Rabbi Moshe Elefant, head of the Orthodox Union's kosher certification agency said he has held "preliminary discussions" with several companies seeking to obtain a kosher seal of approval for medical marijuana. Click on the link for more. Last Wednesday, the House killed a medical marijuana bill. A bill that would have brought medical marijuana to the Northern Plains was on a vote of 26-67. The bill, House Bill 1430, was opposed by Attorney General Wayne Stenehjem, who warned of public safety and regulatory concerns and called it a step backward in fighting impaired driving. On Tuesday, a CBD cannabis oil bill was delayed. The House Criminal Justice Subcommittee is delaying a bill that would legalize low-THC, high-CBD cannabis oil. 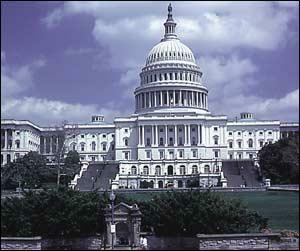 Lawmakers decided Tuesday to bump any action back by at least two weeks. The bill is House Bill 197. Last Wednesday, the legislature approved two CBD cannabis oil bills. The state Senate approved House Bill 1445, which would allow people suffering from epileptic seizures to use CBD and THC-A cannabis oils. It has already been approved by the House and now goes to the governor's desk. An identical companion bill introduced in the Senate, Senate Bill 1235, has also already passed both houses and is on the governor's desk. Last Thursday, the Kettle Falls Five became the Kettle Falls Four. Federal prosecutors have dropped charges against 71-year-old Larry Harvey, elder member of the Kettle Falls Five, Washington state medical marijuana patients being prosecuted despite pot being legal in the state and despite Justice Department policy guidance that would appear to preclude such prosecutions. The charges against Harvey were dropped because he's about to die of pancreatic cancer, which has spread to his liver. But his family members still face decades in prison for growing their own medicine. "I'm thankful the charges against me have been dropped so that I can focus on my battle with Stage 4 pancreatic cancer," Harvey said in a statement. "However, if the Department of Justice truly has concerns for my well-being, it will dismiss the case against my entire family. I thought the law passed by Congress and signed by President Obama was supposed to stop the DOJ from prosecuting my family, but so far, there's been little relief." On Wednesday, the Kettle Falls Four trial got underway in Spokane. The trial of an Eastern Washington family accused of violating federal marijuana laws by growing their own medical marijuana legally under state law began today. The family is known as the Kettle Falls Five, but it's now the Kettle Falls Four after charges were dismissed against terminally ill patriarch Larry Harvey. The prosecution of the Harveys runs counter to Obama administration policy and congressional desire, but continues anyway. On Monday, a medical marijuana bill was filed. On the last day to file Senate bills in the legislative session, Sen. Mitch Carmichael (R-Ripley) introduced Senate Bill 546, the "Creating Compassionate Use Act for Medical Cannabis." The bill would allow for medical marijuana for designated debilitating medical conditions and would require patients and caregivers to be registered with the state. The bill now goes before the Senate Health and Human Services Committee. Responsible Ohio Revises Initiative, Will Allow for Home Grows. "After extensive conversations with experts and concerned citizens across the state and nation, Responsible Ohio has decided to include regulated and limited home growing as a part of our amendment," Responsible Ohio Spokesperson Lydia Bolander said in a press release Monday. "Combined with a lower tax rate for consumers, these changes will make our communities safer by smothering the black market." The group's original proposal had called for only 10 grow sites in the state. At least one other group, Responsible Ohioans for Cannabis, has a competing initiative campaign underway. 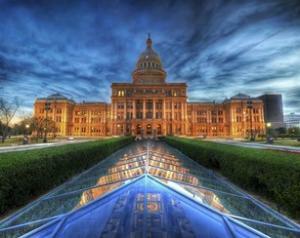 Texans to Lobby for Marijuana Reforms in Austin Wednesday. Texans will gather at the state capitol in Austin Wednesday to urge elected officials to support House Bill 507, which reduces the penalties for possession, and for establishment of a comprehensive medical marijuana program in the state. The lobbying effort is being led by Texans for Responsible Marijuana Policy. Click on the title link for event details. Vermont Legalization Bill Filed. Sen. David Zuckerman has filed Senate Bill 95, which would legalize the possession of up to an ounce by adults, establish a regulatory system for marijuana commerce, and impose a $40 an ounce excise tax on marijuana sold in the state. Whether the bill will go anywhere remains to be seen; key legislative leaders said they did not plan to hold hearings on it this year. Wyoming Legalization Study Bill Killed. A bill to study the impact of legalization in neighboring states was killed on the House floor late last week. House Bill 187 was defeated on a vote of 39-19. The governor's office has the money to do a study, and that may still happen, but it won't be tied to finishing before the next legislative session, as was the case with this bill. Iowans Plead for Expansion of Medical Marijuana Program. A small number of Iowa patients and family members appeared before state legislators Monday to ask for expansion of the state's medical marijuana program, which they say is effectively useless as is. Each speaker called on legislators to expand the law to allow them to legally produce and obtain the high-CBD cannabis oils that could aid them. A law passed last year allows Iowans to use the cannabis oils, but not to produce or import them. Attorney General Holder Touts More Flexible Federal Sentencing. The attorney general today said federal prosecutors are changing the way drug defendants are charged and sentenced, and he cited US Sentencing Commission statistics to back himself up. The new figures show prosecutors pursued mandatory minimum sentences in only 51% of their cases, the lowest rate on record, and down from 64% last year. Federal drug trafficking cases also declined by 6%. Holder said that showed prosecutors are being more selective in which cases they bring. Uruguay's Medical Marijuana Will Be More Expensive Than Recreational Marijuana. As the country moves slowly towards rolling out its legal marijuana program, officials there are saying that medical marijuana will be more expensive than recreational because it will have to be grown separately from recreational, it will be grown by different companies, and it will be grown under stricter -- more expensive -- controls than pot for the recreational market. Colorado Took in $76 Million in Marijuana Taxes and Fees Last Year. The state collected $44 million in recreational marijuana taxes and another $12 million in recreational pot fees last year. Taxes and fees on medical marijuana added another $19 million, bringing the total revenues to $76 million. The recreational pot tax bonanza is less than what was estimated before legalization, but is still a hefty chunk of change. Iowa Bill to Cut Marijuana Penalties Wins Committee Vote. The Senate Judiciary Committee Tuesday approved Senate Study Bill 1121, which would make possession of less than five grams a simple misdemeanor with a maximum 30-day jail term. Currently, possession is punishable by up to six months in jail. Senators who approved the bill said it was an effort to address racial disparities in the state's criminal justice system. Iowa has one of the highest rates of racial disparity in pot busts of any state. Missouri Governor Will Take "Hard Look" at Pardoning Marijuana Lifer. Gov. Jay Nixon (D) said Tuesday he will review the case of Jezz Mizanskey, 61, who is serving life in state prison for a marijuana conviction. Mizanskey has been behind bars for 21 years already after being convicted of a third nonviolent pot offense. "It's a very serious amount of time," Nixon said. "If the laws change after someone is sentenced, then you want to give those things a close look." An online petition seeking Mizanskey's release has more than 386,000 signatures. VA Tells House Committee It is Actively Exploring Medical Marijuana for Veterans. A top Department of Veterans Affairs official told the House Committee on Veterans' Affairs today "there are active discussions going on now" about how to deal with the growing number of vets seeking to use medical marijuana for their ailments. Dr. Carolyn Clancy, the VA's interim under secretary for health, told the House Committee on Veterans' Affairs on Wednesday "there's an incredible opportunity for us to learn from some of those experiences, but I think that we have to be careful given the variation in legal issues." California Regulation Bill Supported by Cops and Cities Introduced. Assemblyman Ken Cooley (D-Rancho Cordova) Monday filed Assembly Bill 266 with the backing of the California League of Cities and the California Police Chiefs Association. The bill seeks to impose state-wide regulation on the Golden State's medical marijuana scene, but California NORML says it has some objectionable features, including too stringent transportation regulations, inadequate provision for the licensing of current growers, and a prohibition on licenses for people with prior drug offenses. Florida Medical Marijuana Bill Filed; Would Not Allow Smoking It. Rep. Greg Steube (R-Sarasota) has filed House Bill 683, which would only allow people with eight specified medical conditions to use it and which bars the used of smoked marijuana. Sen. Jeff Brandes (R-St. Petersburg) earlier filed another, less restrictive medical marijuana bill. "The big differences are, it doesn't allow for smokeable marijuana," Steube said Tuesday of his bill and Brandes' bill. 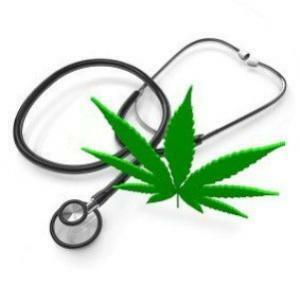 "Brandes, in his bill, says a doctor could prescribe (medical marijuana) if you had severe and persistent pain. That was taken out. We kept it to specific diseases." Washington State Medical Marijuana Regulation Bill Introduced. Reps. Luis Moscoso (D-Kirkland) and Maureen Walsh (R-Walla Walla) have introduced House Bill 2058 to create a licensed and regulated medical marijuana system for the state. The bill is identical to legislation that passed both the House and Senate in 2011 only to be vetoed by then Gov. Christine Gregoire (D) over fears of federal intervention. New Mexico Hemp Bill Advances. The Senate Conservation Committee Tuesday voted 9-0 to approve the Industrial Hemp Farming Act (Senate Bill 94). Sponsored by Sen. Cisco McSorley (D-Albuquerque), the measure would allocate $100,000 for the regents of New Mexico State University, the state's land grant university, to establish a seed bank and seed certification program for hemp. An additional $50,000 would be appropriated under the bill for the state Department of Public Safety to train officers to identify industrial hemp. A similar bill has been filed in the House by Rep. Moe Maestas (D-Albuquerque). Maryland Bill Would Allow Heroin Dealers to Be Charged With Murder in ODs. Delegate Kathleen Dumais (D-Montgomery County) Tuesday filed House Bill 222, which would allow prosecutors to seek homicide charges in heroin or fentanyl overdose deaths that can be linked to a specific dealer. The maximum sentence would be 30 years in prison. The bill had a hearing in the House Judiciary Committee the same day. North Carolina Heroin Summit Tomorrow. The North Carolina Harm Reduction Coalition (NCHRC) is hosting a summit on heroin in Raleigh tomorrow. "Together with law enforcement, members of the NC medical and public health community, NC legislators, and people who have used or been impacted by heroin, we will engage in a series of panel events focused on discussing legislative solutions to heroin use and heroin-related overdose in the state," the group says. Click on the title link for event details. Maine Governor Won't Support Expanding Access to Overdose Reversal Drug. Gov. Paul LePage (R) said Tuesday that he would oppose efforts to expand access naloxone. Rep. Henry Beck (D-Waterville) has introduced HP 98, which would allow friends of drug users to carry the overdose reversal drug and has a Good Samaritan provision. A similar bill last year allowed family members and law enforcement to carry the drug, but the friends and Good Samaritan provisions were stripped out at LePage's insistence. Now, legislators will try again. Transnational Institute Brief on Reforming Drug Law Enforcement in Latin America. The Institute has made available "Fixing a Broken System: Modernizing Drug Law Enforcement in Latin America," the latest of its series on legislative reform of drug policies. It argues that drug prohibition has mostly failed to reduce supply and demand while creating new problems and creating vast collateral damage. It has a number of recommendations; click on the link to read them. This message appeared when the feds busted Silk Road. 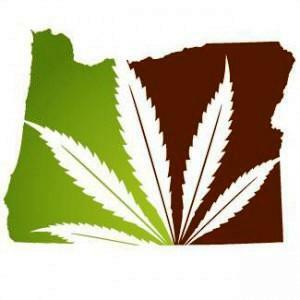 New Approach Oregon to Fight to Defend Marijuana Legalization Law. The group that successfully managed the Measure 91 campaign to free the weed is now mobilizing to ensure that the legislature doesn't undo the will of the voters. The move comes as legislators contemplate various bills that would modify the initiative, including allowing localities to ban marijuana businesses. "We want a marijuana policy that reflects the will of the people," said Anthony Johnson, chief petitioner for Measure 91. "Instead of making major changes, the state first needs to get the basics of implementation right -- like childproofing, labeling, testing, packaging, auditing, inspecting, taxing, licensing and background checks." Massachusetts Legalization Bill Filed. Rep. Dave Rogers (D-Cambridge) and at least 10 other legislators have introduced a bill to legalize marijuana for adults 21 and over and allow for marijuana commerce in the Bay State. The measure has not yet been assigned a bill number and is currently known as House Docket 3436, the "Cannabis Regulation and Tax Act of 2016." Illinois Limited Legalization Bill Filed. State Sen. Michael Noland (D-Elgin) has introduced a bill that would legalize the possession of up to 30 grams of marijuana and the cultivation of up to five plants, but which would not allow for legal marijuana commerce. The measure is Senate Bill 753. A decriminalization bill, House Bill 218, was filed days earlier in the House. Connecticut Legalization Bill Filed. House Deputy Majority Leader Rep. Juan Candelaria has filed a bill to "allow marijuana use for persons twenty-one years of age and older, and to regulate the sale, possession, use and growth of marijuana." That's all the bill says at this point. The measure is House Bill 6703. A bill introduced last month, House Bill 6473, would decriminalize it. Five Hawaii Bills to Get Hearing Saturday. The House Committee on the Judiciary and Committee on Health will hear five medical marijuana-related bills, including one that establishes dispensaries, one that allows patients to transfer marijuana to other patients and caregivers and increases quantity amounts, one that allows doctors to determine which medical conditions qualify, one that bars employers from punishing employees who are patients for a failed marijuana drug test, and one that bans infusing trademarked products with marijuana. Click on the link for bill and hearing details. Virginia CBD Medical Marijuana Bill Passes Senate. The state Senate this afternoon approved Senate Bill 1235, which would allow for the use of high-CBD cannabis oil. A similar bill is before the House of Delegates. New Institute of Justice Report on Civil Asset Forfeiture. The report is Seize First, Question Later: The IRS and Civil Forfeiture. "Federal civil forfeiture laws give the Internal Revenue Service the power to clean out bank accounts without charging their owners with any crime. Making matters worse, the IRS considers a series of cash deposits or withdrawals below $10,000 enough evidence of "structuring" to take the money, without any other evidence of wrongdoing. Structuring -- depositing or withdrawing smaller amounts to evade a federal law that requires banks to report transactions larger than $10,000 to the federal government -- is illegal, but more importantly, structured funds are also subject to civil forfeiture," says the report's executive summary. Colorado Civil Asset Forfeiture Reform Bill Filed. State Sen. Laura Woods (R-Arvada) has filed House Bill 006, which would require a criminal conviction before civil asset forfeiture could take place. "I was spurred by complaints from citizens who are watching what's going on across the country. As there is more policing-for-profit and seizing-for-salaries -- as they say -- they were contacting me with concerns," Woods said. The bill would also set a $50,000 threshold for local law enforcement to be able to turn seizures over to the federal government in a bid to "de-incentivize" that practice. Virginia Civil Asset Forfeiture Reform Bill Passes House. A bill that would require a criminal conviction before civil asset forfeiture can be undertaken passed the House of Delegates yesterday. The vote was an overwhelming 92-6. The measure, House Bill 1287, now goes to the Senate. International Harm Reduction Conference 2015 Set for Malaysia in October. Click on the link for more details and registration information. There's a call for papers, but that ends March 27. Texas Food Stamp Drug Testing Bills Filed. State Sen. Jane Nelson (R-Flower Mound) has filed Senate Bill 54 and Rep. Ken King (R-Canadian) has filed House Bill 352. Both bills would require food stamp applicants to be screened for possible drug use, with those deemed likely drug users made to take and pass a drug test. 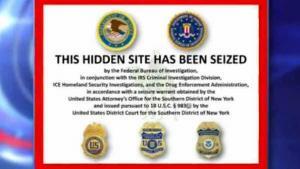 Silk Road Dark Web Drug Marketplace Operator Found Guilty. A federal jury in New York City Wednesday convicted Ross Ulbricht on federal drug trafficking charges for operating the Silk Road web site, where hundreds of millions of dollars worth of illegal drugs and other goods were sold. He is now looking at up to life in prison. Meanwhile, other dark web drug marketplaces continue to spring up. Peru Declares "No-Fly Zone" Over Major Coca-Growing Region. Civilian aircraft are now barred from flying over the Valley of the Apurimac, Ene, and Mantaro Rivers (VRAEM), Peru's largest and most lawless coca-producing region, without prior military approval. The government of President Ollanta Humala took the step in a bid to stop a growing number of small planes from smuggling cocaine to neighboring countries. The move brings Peru one step closer to reinstituting a policy of shooting down unauthorized airplane flights. That policy ended in 2001, when the military accidentally shot down a plane that wasn't carrying drugs, killing a US missionary and her baby. Western Nebraska Counties Are Charging Possession of Some Marijuana Edibles as a Felony. Even though pot possession has been decriminalized in the state for decades, some counties near Colorado are now treating foods containing marijuana extracts as a Schedule I drug, possession of which is a felony punishable by up to five years in prison. Prosecutors in some Western counties say that pastries that contain actual marijuana will be treated like marijuana, but those containing concentrates will be treated as a Schedule I drug. Nevada NAACP Leader Urges Legislators to Legalize It This Coming Session. Jeffrey Blanck, president of the Reno-Sparks chapter of the NAACP, has sent a letter to lawmakers urging them to legalize marijuana during the 2015 legislature. The Coalition to Regulate Marijuana Like Alcohol in Nevada already has a legalization initiative approved for the 2016 ballot. The legislature has the first 40 days of the session to approve the initiative; if it doesn't, it goes directly to the voters in 2016. Oklahoma Activists to Protest Pot Lawsuit Against Colorado. Oklahoma marijuana legalization supporters have organized a protest against state Attorney General Scott Pruitt's decision to join Nebraska in suing Colorado to try to undo legalization there. Led by OK NORML and the Oklahoma Libertarian Party, activists have set up a Facebook invite to the January 8 rally. "Attorney General Scott Pruitt is suing Colorado for their marijuana laws," the page says. "This is a waste of taxpayer money and a clear violation of states' rights." Click on either link for more details. San Diego Officials Shut Down Five More Dispensaries. City Attorney Jan Goldsmith has shuttered five more unpermitted dispensaries ahead of the opening of the first permitted dispensaries early next year. Four are set to open then. More than 200 dispensaries have been shut down in the past four years under threat of legal action, but as many as 50 unpermitted dispensaries remain. Kratom Will Be for Adults Only in Illinois Beginning Next Week. As of January 1, a new state law will limit the use and possession of the Southeast Asian herb kratom to adults. Kratom is said to have a high similar to opiates, but is not a controlled substance under federal law. It is, however, on the DEA's list of "drugs of concern." It has been banned in neighboring Indiana. Lawsuit in Deadly Massachusetts SWAT Drug Raid Can Continue, Judge Rules. A police officer who shot and killed unarmed black Framingham resident Eurie Stamps, 68, in a January 2011 drug raid may have used excessive force, violating his constitutional rights, a US District Court judge ruled as he allowed a lawsuit against the officer to move forward. Officer Paul Duncan shot and killed Stamps as the elderly man lay prone on the floor of his apartment during the raid. Duncan claims the shooting was accidental, but Stamps is still dead, and his family is suing. Mexican Cops Worked Closely With Zetas, Declassified Document Shows. A document declassified by Mexican Attorney General Jesus Murillo Karam shows how police and traffic police in San Fernando, Tamaulipas, worked closely with the Zetas cartel in a series of killings of immigrants en route to the US known as the "San Fernando massacre," in which at least 72 immigrants were tortured and murdered. 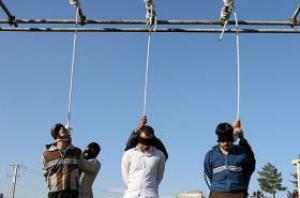 Indonesian Ulama Supports President's Plan to Execute Drug Offenders. The Nahdlatul Ulama, Indonesia's largest Islamic organization, said Wednesday it supported President Joko Widodo's tough stance on drug traffickers. Widodo has refused to stop the execution of convicted drug offenders and is seeking support for his stance. He found it with the Ulama. "We support the death penalty for the drug dealers and the producers, but not the consumers," said Said Aqil Siradji, chairman of the Ulama's central board.